Our program begins with introductory classical training in Primary. We incorporate elements of Free Movement and Character Dance in the Ballet levels “Grade 1-4”, as seen in most traditional classical ballets, and introduce pointe work in the Ballet level “Grade 5”. Exams are intended to help encourage dancers to achieve the goal of mastering their particular level of study, elevating the dancer with measurable progress and “graduating” them to the next level. Exams are optional. 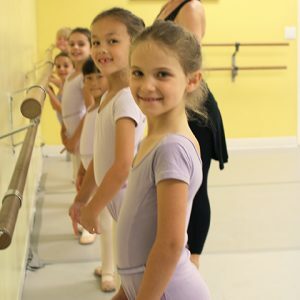 Students in the Ballet program participate in winter and spring recitals annually. Several students in the program also participate in DS1’s summer International Dance Acclaim Dance Intensive. Placement Classes: All new students entering into the Foundation Syllabus Program will be required to take a placement class in order to determine the appropriate grade level.